To shop just click on the Drop Down depending on which country you are in (top right of screen) - Local shipping ONLY applies. 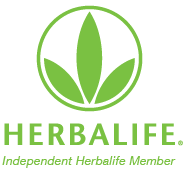 Lose weight easily, quickly and stay healthy at the same time with amazing Herbalife products. My name is Vicki Kenny and I've always believed in natural, healthy products, as well as excellent nutritional supplements, and Herbalife Products are definitely all of these. 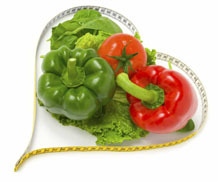 The Weight Loss products and programmes provide a great way to lose weight and to enjoy a healthier lifestyle. The supplements help you be improve your health and well-being, and to feel great - even while losing weight. Whether it's 1 kilo or 50 kilos you need to lose - we have a programme to suit you. From Only $2.96 a meal plus save on food costs. NZ Wide Orders shipped Lightning Fast in 2-4 days. Many of my clients are scared of gaining weight over Christmas - I used to be like that too. But it's easy not to. I'll tell you how. What to eat – do you know how to lose weight? I am always surprised how many of my clients are not aware of what they need to do, or what they need to change, to lose weight and keep it off for good. Sometimes I get clients asking me how much it costs to lose weight. Sometimes they say they can’t spare the extra money to lose weight.